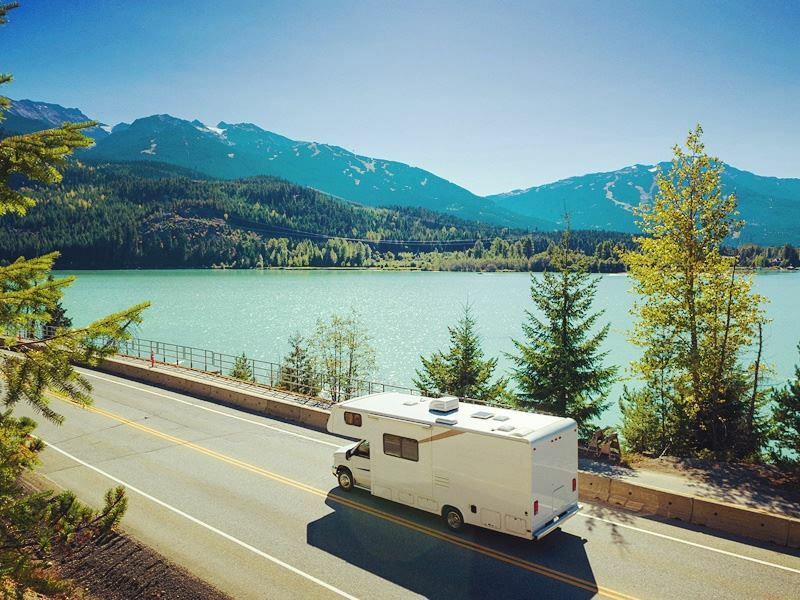 A motorhome is an ideal way to explore Canada, choose when and where you want to go with the added luxury of having a bed, your own bathroom and the kitchen sink on the road with you. What could be better than exploring the wilderness of British Columbia, the ultimate road trip with the opportunity to get off the beaten track and go on a real adventure. For those that love the outdoors, British Columbia has a vast and varied landscape perfect for all sorts of outdoor pursuits and activities from hiking and climbing to horse riding, skiing, kayaking and white water rafting. From the lakes to the mountains and the wilderness in between, a motorhome is the perfect way to get around. BC is over four times larger than the UK so a road trip in a motorhome is an exciting way to cover a lot of this incredible landscape. The Columbia Mountains are made up of four mountain ranges, Cariboo, Monashee, Selkirk and Purcell, which stretch into the USA. Wells Gray Provincial Park is in the Cariboo Mountains, Mount Revelstoke National Park in the Selkirk and gold, silver and other metals are mined in the foothills of the Monashee Mountains. 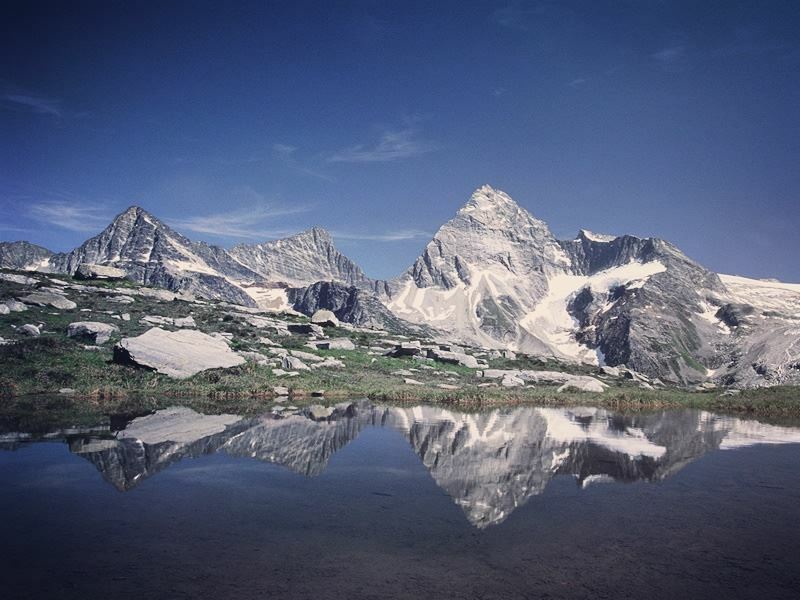 The highest peak, Mount Sir Sandford rises to a staggering 3,519 metres. The mountains provide an exciting array of outdoor activities from skiing in the winter to glacier trekking, hiking through alpine meadows and white water rafting to swimming in glacier fed waters. 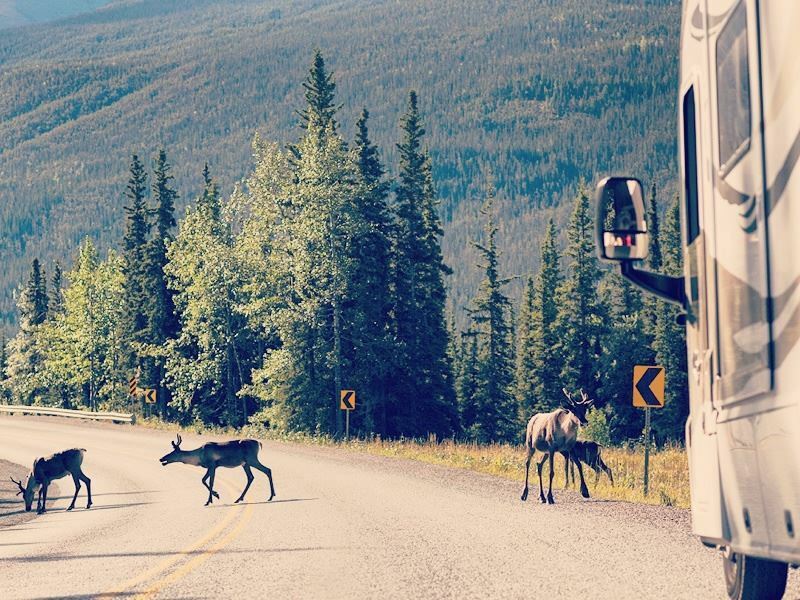 Exploring by motorhome is a fantastic way to get out in the wilderness of British Columbia and the scenic drives have an abundance of wildlife to look out for along the roadside from moose and caribou to bears and elk. Deciding on where to park up in your motorhome is all part of the holiday planning, when staying in a national park campground to prevent bears from finding your things it is worth knowing that any food, cooking and personal hygiene items must be stored in a food storage locker, these are available at all campsites where bears roam. Campgrounds facilities can vary, many have pitches with fire pits and picnic tables, toilets can either be flush or pit, some sites may have no facilities at all. Private campgrounds tend to be more luxurious with showers and Internet access. It is possible to reserve a pitch at some campgrounds, while others are on a first come first served basis. If possible it is advisable to book your site before you arrive, especially in high season as campsites can get booked up very quickly. May to September is a good time to go camping, with July and August being the peak months. When planning your trip, be sure to add a stop off at Okanagan Lake Provincial Park near Kelowna. There are two campgrounds here. North Park Campground over looks the lake while South Park Campground has easy access to the lake and beach. The picturesque lake has pebble beaches for relaxing backed by pine trees and mountains, while the cool waters are perfect for a refreshing dip. Outdoor activities are aplenty here, canoeing, hiking; swimming and fishing are popular choices. For something different take a trip to one of the many vineyards in the area or hike Giant’s Head Mountain for panoramic views of the lake and nearby town of Summerland and surrounding mountains. Mount Revelstoke National Park is a must visit, high up in the Selkirk Mountains drive along the Meadows-in-the-Sky Parkway to get there. 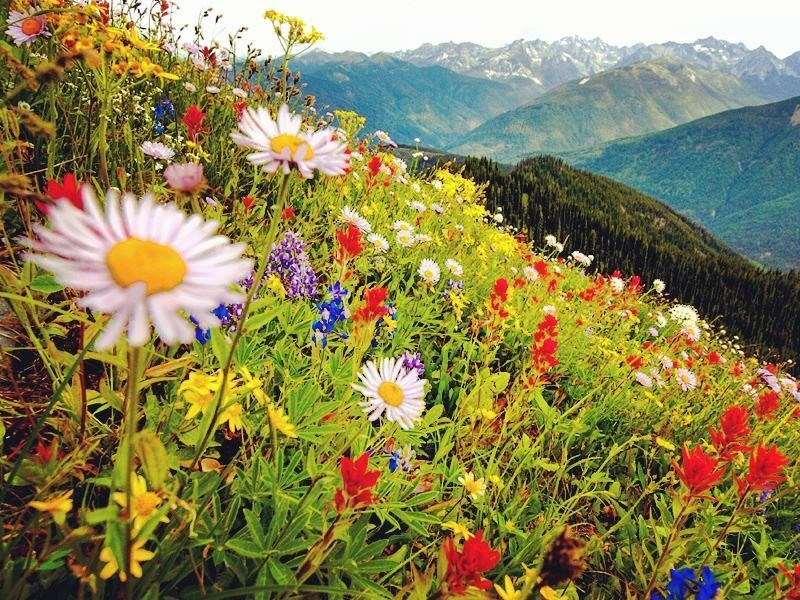 This scenic journey is a 26km long mountain road, open in good weather conditions from July to October, the drive winds up through alpine forests and mountain meadows on the way up to the summit of Mount Revelstoke. Here you can park and reach the summit on foot in just a short five minutes; take in the stunning views during the day or watch for shooting stars at night. There is plenty to keep the outdoor enthusiast happy here, with picnic areas, outdoor yoga classes and an abundance of hiking trails. Walk amongst giant cedars on the gorgeous Giant Cedar Boardwalk nature trail and look out for muskrats, bears and the skunk cabbage plants on the Skunk Cabbage Boardwalk. There are not any campgrounds accessible by road in Mount Revelstoke; the nearby town of Revelstoke is a good place to pitch your camper for the night. Revelstoke Campground has pitches with electric hook up, fire pits and barbeque areas and overlooks beautiful snow capped mountains. Glacier National Park has an impressive 131 glaciers and is a must stop on your journey, lakes, mountains, ice fields and glacial rivers make for a picturesque backdrop, plus this national park has a huge cave system for the ultimate explorer. Illecillewaet picnic area has incredible views of Illecillewaet glacier; Mount Sir Donald picnic area provides stunning vistas of the mountains and Illecillewaet River. If you plan to stay for longer there are three campgrounds within the park, Illecillewaet, Loop Brook and Sir Donald. All three are located in Rogers Pass National Historic Site, making them perfect for exploring the abandoned trans-continental Canadian Pacific Railway line that dates back to 1885. Illecillewaet and Loop Brook have flush toilet washrooms and campfires are permitted. Sir Donald campground offers a more primitive camping, experience so this is the one to pick if you want to go back to basics in the wilderness for the night. If you are lucky you might even get a glacier view from your pitch. From Illecillewaet campground there are eight hikes to the glacier, take the 1km Meeting of the Waters Trail for a short but spectacular stroll past streams and through alpine forests. Or go on an all day hike to get high above the glacier. While in the area watch out for some interesting wildlife, Grizzly bears, mountain goats, elk, lynx and cougar all inhabit this park. For an exhilarating day out surrounded by beautiful scenery go whitewater rafting at Kicking Horse River, a 45-minute drive east along the Trans-Canada Highway. Wells Gray Provincial Park is another must visit. Home to Canada’s fourth largest waterfall Helmcken Falls and more than 39 others it is known as ‘Canada’s Waterfalls Park’. 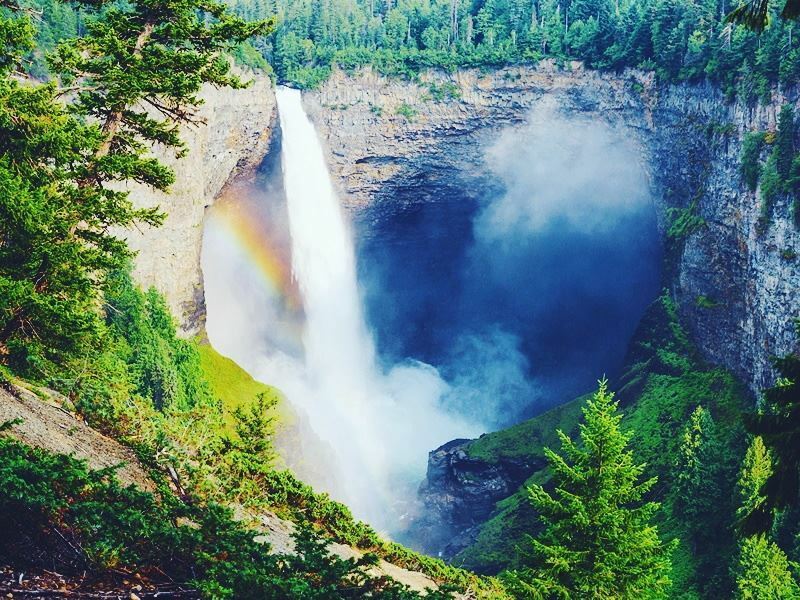 There is easy access to Helmcken Falls and trails that lead to some super viewpoints. Kayak on the crystal clear Murtle Lake surrounded by a beautiful backdrop of alpine forests and snow capped mountains or go bear spotting on a wilderness safari. A 15 minute drive from Wells Gray is Birch Island campground, North Thomson River runs through it, private spacious pitches are separated by trees and come complete with a picnic table and fire pit. This is an ideal base for exploring the park. Our Best of Canada’s West by Motorhome tour has the perfect itinerary for seeing this stunning part of the world. The nine-day tour covers Vancouver and a stop at Burnaby Cariboo, a great place to be based to explore the city while relaxing at this five star campground. While in Vancouver take time to explore this vibrant place, pick up some local produce from Granville Island Public Market for your motorhome adventure. Okanagan Lake Provincial Park, Revelstoke and Wells Gray Provincial Park are all included in this road trip. Drive over the border into Alberta to see Lake Louise and stop off in Jasper too. Get off the beaten track, camp in the middle of nowhere and stargaze by a campfire. 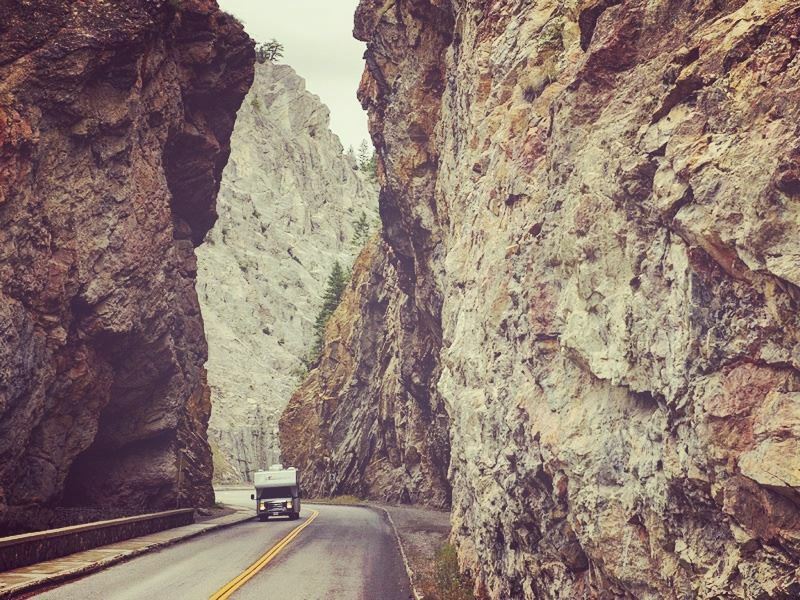 Choose your own route, drive at your own pace and pick where you camp for the night, having your own freedom is one of the best things about a motorhome holiday. The scenery is incredible in British Columbia so driving is a fantastic way to take it all in, you’ll never see a bad view on this trip!